'You Think That's Bad': Delving Into Disaster, In Prose These days, news of disaster seems to stream in relentlessly — and Jim Shepard's well-timed You Think That's Bad dives deeper into stories of catastrophes and lost control. Shepard's fearless, exquisite writing illuminates truths about the pain of experiencing disaster. It's the near future in Rotterdam, South Holland, and climate change has caused the glaciers of Africa and the Rocky Mountains to disappear. Worldwide, ice sheets have collapsed and countries have flooded to the point of being nearly uninhabitable. The narrator of "The Netherlands Lives with Water," a hydraulic engineer, tries to save his marriage while simultaneously racing to protect his nation from a flood that could kill thousands. He's stoic, but not optimistic: "At this point each of us understands privately that we're operating under the banner of lost control." "The Netherlands" isn't the only story about disaster and lost control in Jim Shepard's new collection, You Think That's Bad, though it might be the most striking one. Shepard, author of the acclaimed story collections Love and Hydrogen (2004) and Like You'd Understand, Anyway (2007), is a master not only of the short story, but also of the prose of pain, disappointment and powerlessness. Each of the 11 stories in his new book is heartbreaking and true, and not one is less than perfect. Shepard's evocation of catastrophes both small and large, real and fictional, is an amazing study in contrast and loss, and it's exquisitely written. You Think That's Bad is perhaps more preoccupied with disaster than any of Shepard's previous works, with the possible exception of his brilliant 2004 novel Project X, the story of a school shooting. In "Your Fate Hurtles Down at You," a group of scientists lives on a Swiss mountain under the constant threat of avalanche. The narrator of "Boys Town," a war veteran with posttraumatic stress disorder, makes a series of terrible decisions until he's cornered both physically and emotionally. "Classical Scenes of Farewell," a story of a French aristocrat who sexually abuses and murders a series of young boys, is so raw, unsparing and stark, it's almost impossible to read in one sitting. Some of Shepard's disasters are writ smaller, but are no less tragic. The most accomplished story in the book, "Gojira, King of the Monsters," follows the unhappy life of Eiji Tsuburuya, the special-effects director responsible for the Godzilla movies. Previously published as a stand-alone book by Solid Objects, under the title Master of Miniatures, "Gojira" is one of the best American short stories in years — Shepard's evocation of catastrophes both small and large, real and fictional, is an amazing study in contrast and loss, and it's exquisitely written. Over the past few weeks, we've probably all sat in front of our computers or televisions, refreshing our browsers or changing channels every few minutes, wondering how much more bad news the world can take. Very few of us, however, can ever know how the devastation really feels. 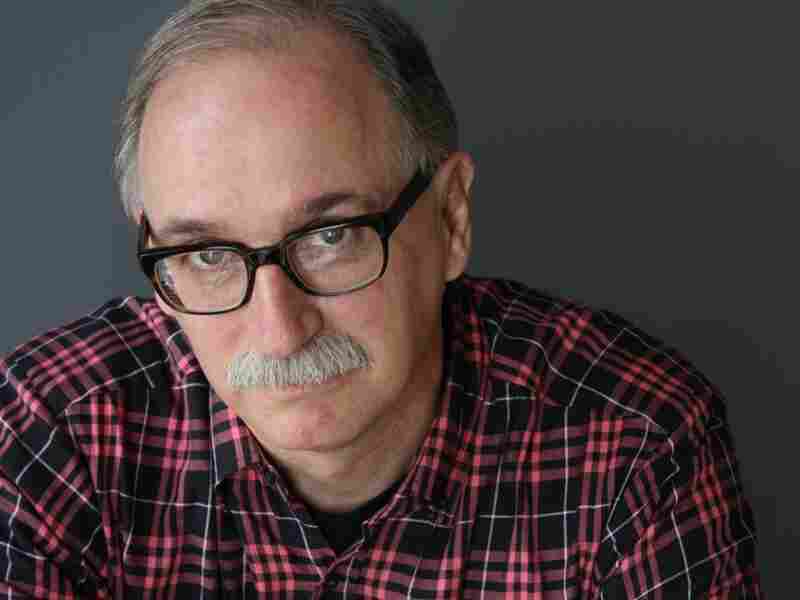 Jim Shepard's beautiful, essential stories might not change that, but they do prove that he's one of the most perceptive, intelligent and fearless writers of fiction in America today. What we learn from pain isn't up to us, after all, but what we learn from Shepard is this: pain is pain, there are no small tragedies, and all disasters are unnatural. We haven't spoken in three days and haven't stretched out in two, and that's forty-four hours we've been braced back to back, holding our tent poles, one hand low and the other high, to keep them from snapping in the wind. They're supposed to be titanium but at Camp 3 they went off like rifle shots in the night and these are jerry-rigged spares. The winds are topping 130 kilometers an hour. The temperature has dropped to 49 below. We're wearing three layers of fleece, one of Gore-Tex, down bodysuits, insulated climbing shells, and even our overgaiters, with gloves inside gloves inside mittens, and headcaps inside balaclavas inside hoods. I've been unable to interrupt the clatter of my teeth. Jacek's breathing sounds like someone blowing bubbles through a straw. Bieniek has long since given himself over to a kind of stupefaction. We store the radio batteries in our underwear and load them only when we need to call Base Camp. Once we're finished, getting them back through all the layers takes ten minutes. Then we just grip one another and hold on until our testicles warm the battery casings. The casings conduct the cold with exceptional efficiency. We're at Camp 4 and only 1,000 meters below the summit, but the summit's 8,126 meters high and in the winter at this altitude everything is sandblasted by the jet stream and the cold. Because of that, the peak is called Nanga Parbat: Sanskrit for "Naked Mountain." When the sky is not storming, it sounds like a giant's flapping bed sheets as hard as he can. When it is, the turbine sound of the howl makes even shouting pointless. During those periods we're reduced to hand signals with mittens. We've been on the mountain for twenty-seven days. Our sponsors have shelled out big money not for attempts but for results. Our team members, strung out along the various camps below, are spent. Our wives back home are miserable. Our children are frightened. Poland is watching. If we descend we won't have the physical reserves to return. If we continue upward we'll be ascending without being able to make out our hands at arm's length. If we decide to wait out the storm, they'll find us once it's over, like everything else in the tent, from our sunscreen to our cameras: frozen solid and cascaded with frost. A. F. Mummery, along with his entire expedition, was never heard from again. Twenty-six climbers were killed before even the first summer summit was achieved. There have been twelve winter attempts since. None have succeeded. There's a song we sing in bars: "Who does winter mountaineering? We do winter mountaineering!" We are the Poles. The first winter attempt here was a joint Anglo/Polish expedition in 1988. Then the Brits came to their senses and dropped out. The Italians partnered with us for a little while as well, and have the casualties to prove it. Only the Poles have persevered. And attempt number 13 is in deep trouble. For the last three days we've been hunkered down in an air raid of wind. Camp 4 amounts to a small trench for the tent, chopped into a cornice of snow as hard as concrete. We're now in the seventh day, and we need to be back in Base Camp by the middle of the month, after which, as Kolesniak likes to put it, the winds really get going. Kolesniak got started like the rest of us, as a schoolboy running around local crags and picking up whatever he could in terms of technique here and there. Afternoon larks turned into weekend excursions and then long holidays away from home. Now he's so famous that kids can buy a snakes-and-ladders board game of his K2 climb. He's one of the central figures in the golden decade of Polish Himalayan mountaineering, having summited ten 8,000- meter peaks, including Everest twice. Once everyone and his brother started climbing such peaks, he began proselytizing for what he called a true Alpine style, which involved refusing to benefit from the work of other teams, even if it meant ignoring ropes that lay fixed beside your route or declining to take shelter in unused tents. On Gasherbrum IV he forbade his team to follow a Japanese expedition's footsteps in the deep snow. It was a short transition from that to winter mountaineering. Soviet restrictions on travel throughout the postwar period ensured that Poles missed out on the first ascents of all the highest peaks, leaving us with mountains so small they lacked even yearround snow, but we solved the problem by resorting to the unthinkable: climbing in winter. In 1959 Zawada electrified everyone by ascending a staggering number of connected peaks in nineteen days of continuous climbing. Kolesniak, still a boy then, snuck into one of his lectures in a packed five-thousand-seat auditorium, and Zawada displayed a slide of a towering rock face in a sleet storm and told the audience, "Show me how you climb in this and I'll tell you what you're worth." It was Zawada who first conceived of attempting Everest in winter, once travel restrictions were lifted, and Zawada who led the expedition that succeeded. He lived to see Lhotse and Annapurna and Dhaulagiri fall as well. By then the world was calling us the Ice Warriors and the Pope was sending him climbing advice. Industries hired top climbers during the summers to paint their smokestacks: easy work that paid like state ministries. And Nanga Parbat remained the reef on which all Polish shipping ran aground. In 1997 Pankiewiez and Trzymiel clawed to within three hundred meters of the top before their frostbite became so dire they could no longer press on. Duszkiewicz in 2008 reached through a blizzard what he thought was the summit only to find once back in Base Camp that he'd stopped to celebrate on a rise eighty meters lower. And now here we are. For three years each of us has hoarded and sacrificed and trained for the right to earn this chance. We have flown five thousand kilometers and caravanned by truck and foot hundreds of kilometers more and ascended seven thousand meters in altitude and squandered tens of thousands of euros on permits and porters' fees and equipment. "Let's go, girls," Kolesniak has shouted whenever anything has gone wrong. "You're not going to grow the balls you need sitting around complaining." And as Agnieszka never tires of pointing out, we're not the only ones who have sacrificed. Her father, on the occasion of our daughter's seventh birthday, sat me down and walked us both glumly through the state of my finances, and once he finished her mother, waiting beside him, then asked how on earth, if I loved her daughter and granddaughter as much as I claimed, I could justify what I was doing. In the other room Agnieszka made a loud snorting sound. I answered that I didn't justify what I was doing. Nine expeditions in the course of a seven-year marriage meant that I'd been away more than at home. For five consecutive years I'd missed my daughter's birthday. This birthday I'd been able to make because our climbing permits had fallen through. And each time I returned with a body so devastated it never fully restored itself. Agnieszka told her girlfriends that she called my first weeks back the Famine Zombie Weeks. My vertebrae and hipbones were anatomy lessons. I was able to focus on emotional issues only when she put a hand on each side of my face and redirected my gaze into her eyes. At our airport reunions, after her relief and joy, I'd see her anger at what I'd done to myself flood through her like a third revelation. I'd met her at a faux-English pub in Warsaw. Most of us met our wives at one climbers' drinking hole or another. But I'd had good timing: it turned out she'd just come from a co-worker's retirement party at which she'd heard him joke about the number of years he'd worked at his bureau—more than she'd been alive— and then estimate the actual number of staff meetings he'd attended and evaluations he'd filed. A horrified silence had settled over the party, she said, and she'd decided then and there to quit. The pub had been the first one she'd encountered. When she asked what I did, I told her I climbed the highest mountains in the world in the winter. We went home together that same night. 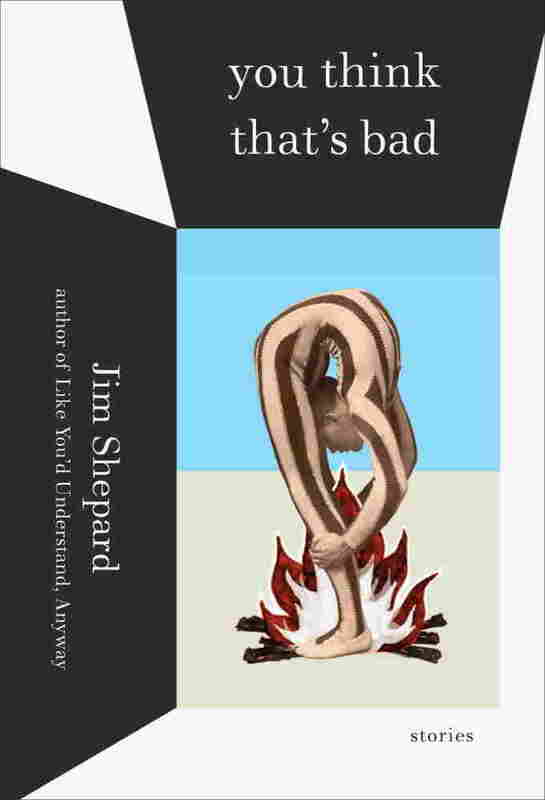 Excerpted from You Think That's Bad: Stories by Jim Shepard. Copyright 2011 by Jim Shepard. Excerpted by permission of Knopf, a division of Random House Inc. All rights reserved. No part of this excerpt may be reproduced or reprinted without permission in writing from the publisher.